From obscure museums to spectacular art installations, from quirky shops to beautiful gardens, New York City is an absolute treasure trove of wonderful and unique locations to visit. Considering all of the fantastic lesser-known locations available, we have put together this guide to introduce you to the hidden gems of New York, highlighting the city’s best-kept secrets. 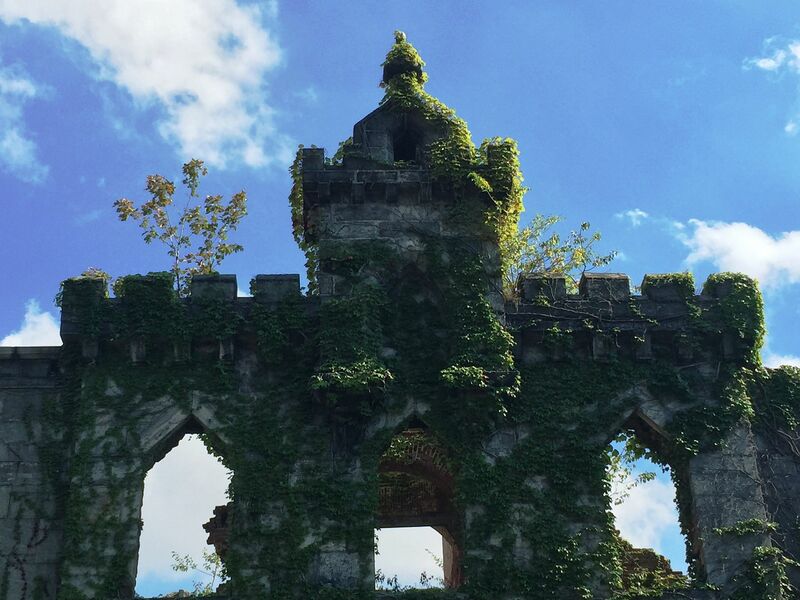 There’s a wealth of history to uncover in New York and one of the area’s best lesser-known locations to visit during your New York holiday has to be the Smallpox Hospital Ruins on Roosevelt Island. 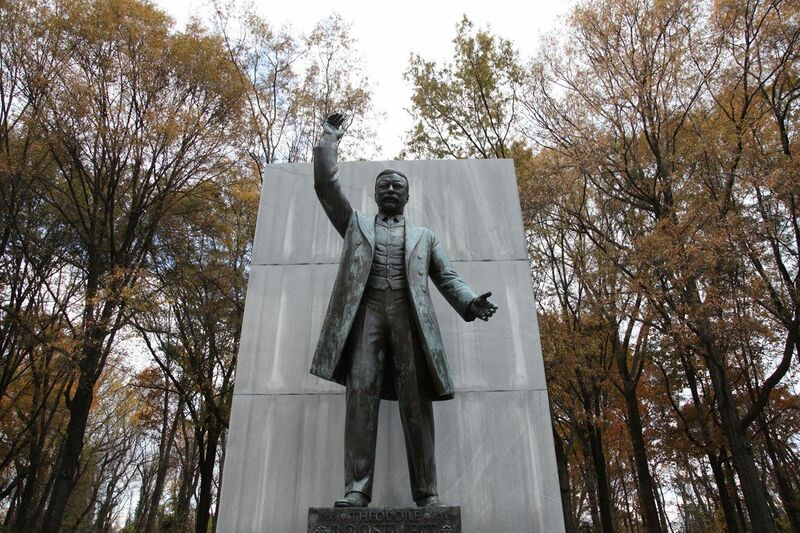 Smallpox was one of Earth’s most deadly diseases and in New York during the 19th century, the infected were kept in a hospital on what is now known as Roosevelt Island. Today the hospital is but a ruin, abandoned in the 1950s, but the architecture found here is quite something and a living reminder of a dark period in human history. When visiting New York, especially during the hot summer months, a delicious ice cream will certainly go down a treat, and for one of the best such experiences in the city, Chinatown Ice Cream Factory is an absolute must. 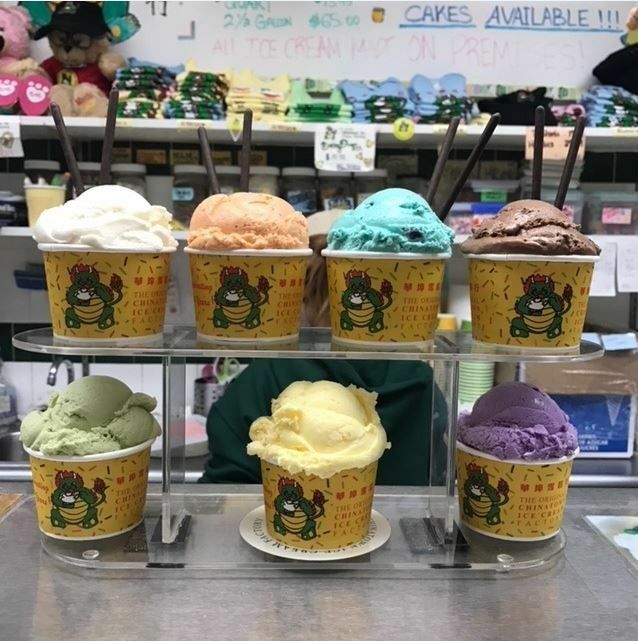 A family-run operation, Chinatown Ice Cream Factory has been delighting customers in the heart of New York with their homemade ice cream for decades. Chinatown Ice Cream Factory offers a host of spectacular flavours such as pumpkin pie, black sesame, mocha chip, and even newly created flavours like ‘maple bacon’ and ‘NYC cupcake’. And for those with a larger appetite, don’t forget to try their signature Chinese ice cream cakes with three layers of goodness! 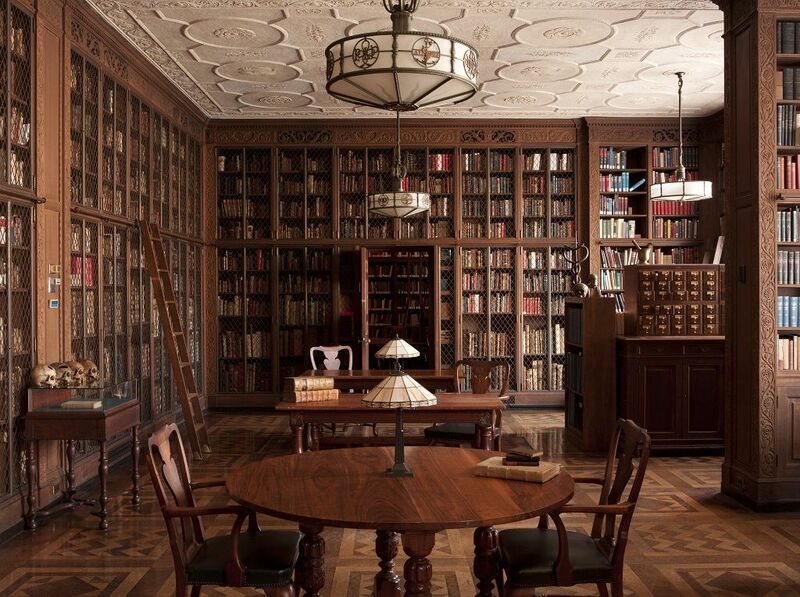 Offering occasional public tours in the day, as well as the odd lecture and event during the evening, the New York Academy of Medicine Library on Fifth Avenue has a true aura about it, with its open-by-appointment-only nature further adding to its mystique. This hidden rare book library is home to a plethora of knowledge regarding the human anatomy, containing texts of endless fascination and historical worth. The staff at the New York Academy of Medicine Library revealed to us a few of this fascinating location’s secrets: “The New York Academy of Medicine’s Drs. Barry and Bobbi Rare Book Reading Room looks much as it did when it first opened in 1933, with its period cork floors, Caldwell light fixtures with ornamental printer’s devices, and wooden bookshelves. “The real showstoppers, however, are the library’s astonishing collections in the history of science, the history of medicine, and the culinary arts. Among the highlights is the oldest cookbook in the West, Apicius’ de re culinaria, early works on surgery including a 15th-century manuscript by Guy de Chauliac, and first editions of Vesalius’ watershed anatomy and William Harvey’s influential 1628 text on the circulation of the blood. A long-time feature of the New York food scene, Lexington Candy Shop is a family-run luncheonette (for three generations) that excels in serving up great food and drinks with an old-fashioned sensibility, to both locals and visitors alike. If you are looking to simultaneously enjoy some wonderful grub and sample a little NYC history in the process, this charming establishment should of course be on your radar. Ever been to a hologram gallery? Well, New York happens to be home to the oldest in the world – a hidden gem that deserves seeking out while visiting the city. Expert holographer Jason Sapan has been creating holographic images from his laser lab for decades and his Holographic Studios are able to offer classes, tours, gifts and hologram portraits to those that come by – they have even been featured by the Smithsonian for a recent article. 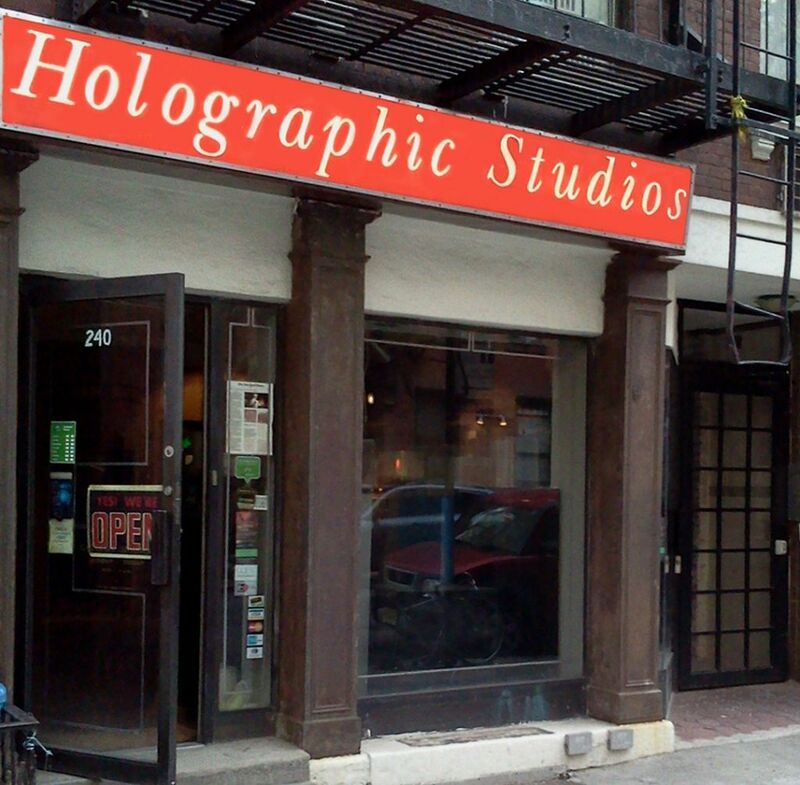 To find out more regarding what happens at Holographic Studios, we spoke to Jason Sapan himself, who told us why those looking for NYC hidden gems should seek out his studio: “In a city as unique as New York, Holographic Studios may well be the most unique place to visit. Located in a former blacksmith's forge, our gallery of three-dimensional images consistently receives top ratings on TripAdvisor, Yelp, Facebook, and Google. We have been at the same location since the 1970s, making us the world's oldest gallery of this amazing technology. We offer tours and classes. You can even sit for your own holographic portrait. “A visit to the Holographic Studios is unlike any big box attraction,” Jason explains, “it is a one of a kind local experience that is both amazing and fun for the whole family. On display in our gallery are holographic portraits of celebrities including Andy Warhol, Prime Minister Edward Heath, President Bill Clinton, among others. We have a variety of types of holograms from around the world on exhibit. If you’re interested in finding out more, head on over to Holographic’s Facebook page and find them on Instagram @doc_laser. Avid reader and book connoisseur? Well, a trip to the illustrious Mysterious Bookshop at 58 Warren Street will be a treat to savour. The world’s oldest bookstore that purely specialises in the genres of mystery, crime fiction, espionage, and thrillers, Mysterious Bookshop isn’t just home to countless hidden gems on its shelves but is itself one of the city’s best-kept secrets. Pulling back the curtain for us, we spoke to Mike Durell of Mysterious Bookshop (pictured above), who revealed the pleasures on offer for those visiting: “The Mysterious Bookshop is a traditional brick and mortar store, complete with ladders to reach the tall bookshelves and a sofa for browsers to relax on as they peruse prospective purchases. About the only thing we lack is a fireplace and a store cat/dog! The atmosphere and ambience are among the things that people either expect or are pleasantly surprised by along with a crackerjack staff, brimming with knowledge of crime fiction past and present. 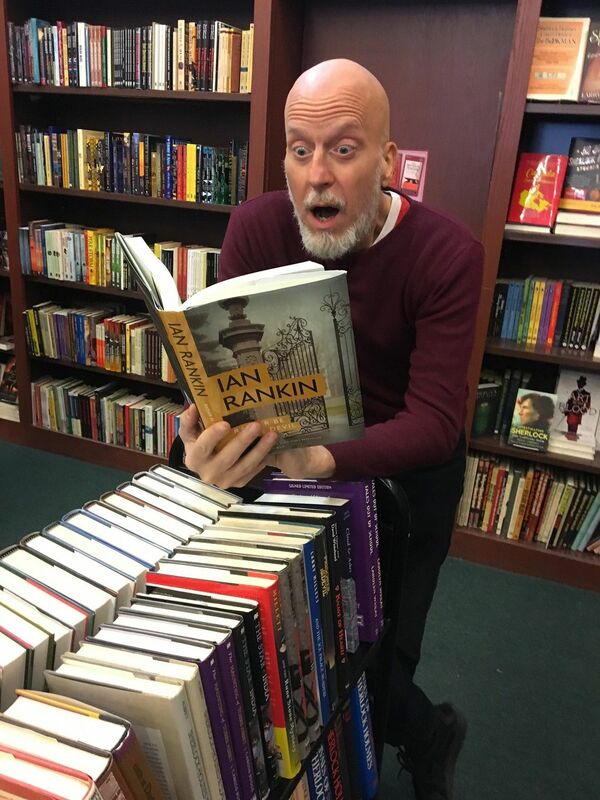 “We carry books in all mystery genres and for all budgets, so if you are a veteran of crime fiction, we are able to show you a title or an author that you may not have considered; if you are new to us, we can help you get started on your journey! For example, if you've been reading traditionalists like Agatha or John Dickson Carr, perhaps you'd like to try a thriller, perhaps you just saw Goldfinger and would like to read the original novel, or perhaps you have a plane/train ride coming up and would like a page turner to pass the time--we can assist you with all this and more! “Most of our current titles are signed first editions,” Mike explains, “which is a boon to collectors and a pleasant surprise to newer customers and collectors-to-be. Many of the top ranked authors are personal friends of the shop and come in to sign stock when they have a new release. Visitors to the shop may well run into an author they've been dying to meet! ‘Dying to meet?' See what I did there? We also have frequent author events which are open to the public. 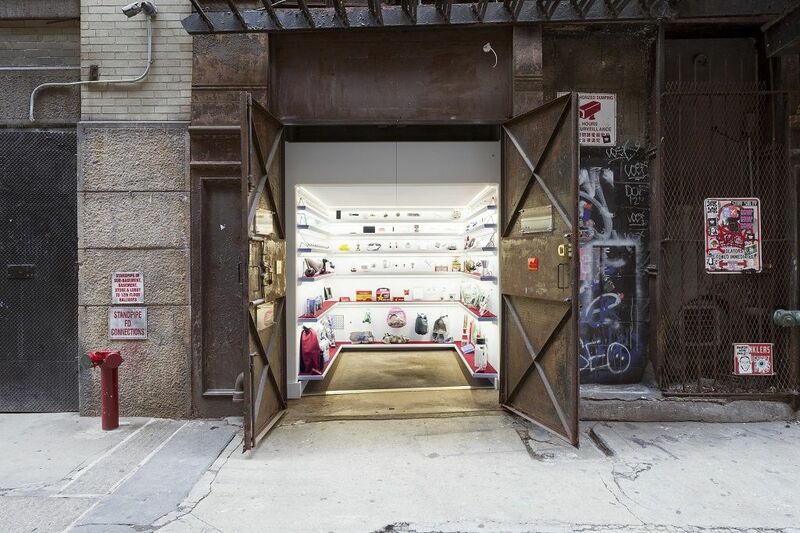 Have you ever been to a museum inside a freight elevator? Well, that’s just what is on offer at Mmuseumm on Cortlandt Alley between Franklin St & White St. Not exactly an experience to while away the afternoon, but Mmuseumm is nonetheless a fascinating hidden gem and not to mention unique. Housing a curated display of artefacts that specialises in overlooked and ignored items, this fascinating location has included exhibits like ‘personal possessions found in the Pacific’, a collection of religious tokens (such as gluten-free Holy Water), and the infamous shoe allegedly thrown at George W. Bush. Mmuseumm was created by a trio of filmmakers and for those interested in taking a peek, you can even book a guided tour to really discover its secrets. It’s not just individual shops, museums, and attractions that are worthy of praise during your New York stay, as the city is full of whole neighbourhoods that demand a visit. Once such place is Little Italy in the Bronx, known by many New Yorkers as a premium destination for bread, pasta, meat and the best Italian sausage in the city. Some, however, even NY residents, are unwise to its delights, but for those visiting, we can assure you this is a hidden gem to treasure. 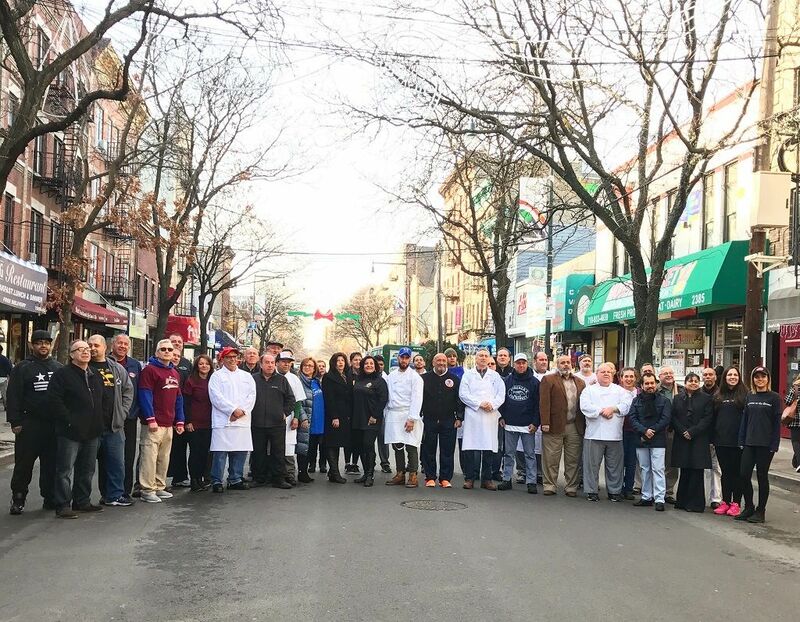 We spoke to Bronx Little Italy, the official website for the area, to uncover a little of what’s in store for visitors: “Walking through the Belmont section of the Bronx, often referred to as Bronx Little Italy, is truly a unique experience. Throughout our vibrant community is a thriving business district that not only includes world-class restaurants but also high-quality artisanal food shops and speciality stores carrying superb handmade local and imported items. And regarding the atmosphere to be found in this fascinating area of New York, Bronx Little Italy told us: “There is a strong sense of authentic Italian culture that comes from the generations of Italian families who have given the area a special small-town character unique for an urban setting. There are impressions of family and community everywhere you turn. Most of all, however, it’s probably the consumable goods that visitors enjoy the most when visiting. 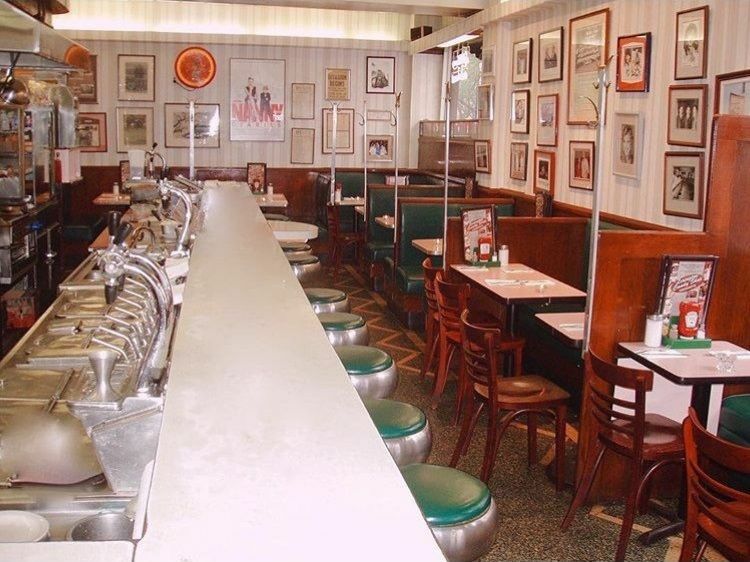 One of the most attractive aspects of New York is its great food and rich history, so why not head on over to Keens Steakhouse and enjoy both to a tremendous degree? 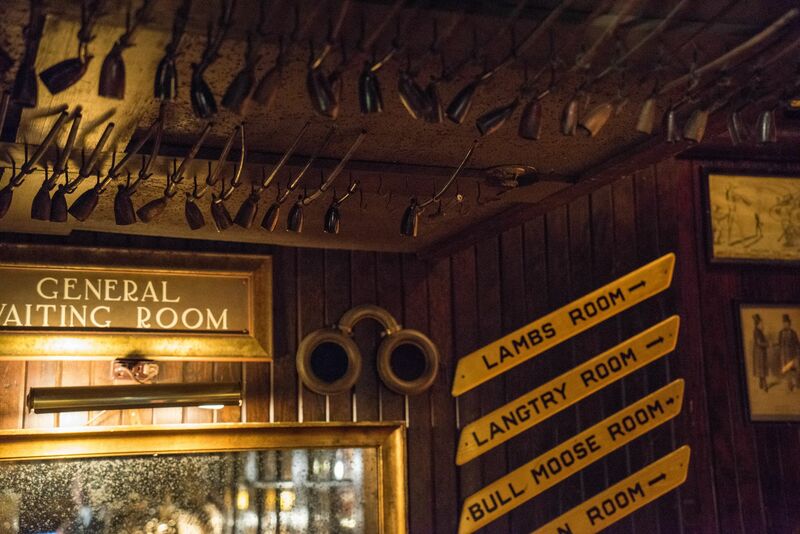 Keens Steakhouse not only has a delicious traditional menu but is also notable for its world-renowned collection of clay pipes on display, many of which were held for presidents, writers, and other notable celebrities (Theodore Roosevelt and Mark Twain being two prominent inclusions). And regarding their impressive menu, as well as what else visitors can expect to enjoy, Keens told us: “Many of the menu items have been on the menus for years, such as mutton chop, Dover sole, kings cut, prime rib of beef, filet mignon and porterhouse. Our meats are hand-selected and then dry-aged on premise. Our lunch menu has steaks but also lunch salads and lighter dishes. As already demonstrated, there are a true plethora of fascinating locations to discover when visiting New York on a cruise holiday deal, and a trip to The Evolution Store should certainly be high on the agenda. Located on 687 Broadway, Evolution is incredibly distinctive, kitted out with a spectacular collection of natural history artefacts and collectables. 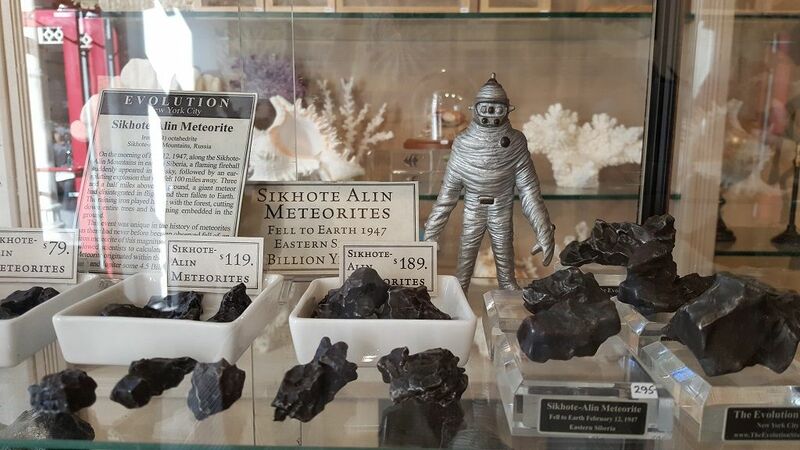 We spoke to The Evolution Store to find out more about what visitors can expect to discover: “The Evolution Store is such a wonderful place to visit when in New York because we offer a museum-quality atmosphere where everything is totally accessible. Our sales associates are extremely knowledgeable and patient and love to talk to customers about the amazing variety of items we have available. This landmark of the SoHo art district is the place to be for science and natural history goodies, perfect for gits, and as you will find out upon visiting, The Evolution Store is easily one of NYC’s best-kept secrets. “The Museum of the American Gangster has been praised in the New York Times, Wall Street Journal, Smithsonian Magazine, but, most importantly, people who visit find the New York they came to see and which is becoming lost. 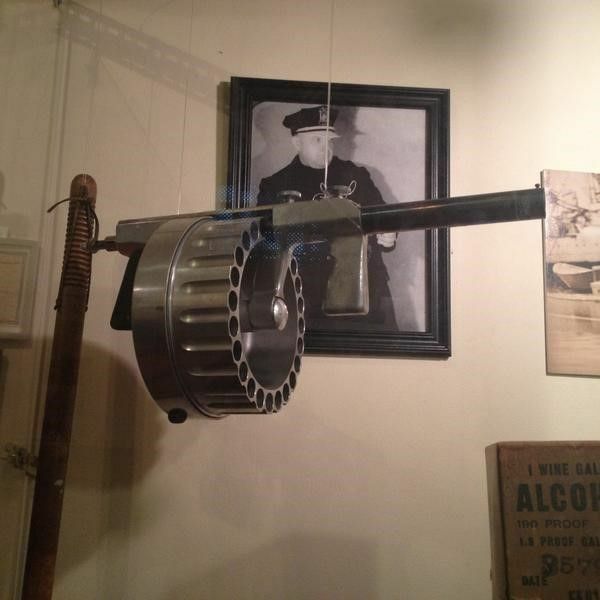 It has wonderful and unique objects, from the bullets from the Saint Valentine's Day massacre, or a fully automatic 12 gauge machine gun shotgun, to an intact nightclub speakeasy from Prohibition, complete with underground tunnels, once frequented by Al Capone. New York is well known for its museums, but one you might not be aware of is the illuminating and thoroughly educational National Museum of Mathematics. With its dynamic exhibits and vibrant galleries, the museum looks to highlight the vital role of mathematics in allowing us to discover the patterns and structures all around us. 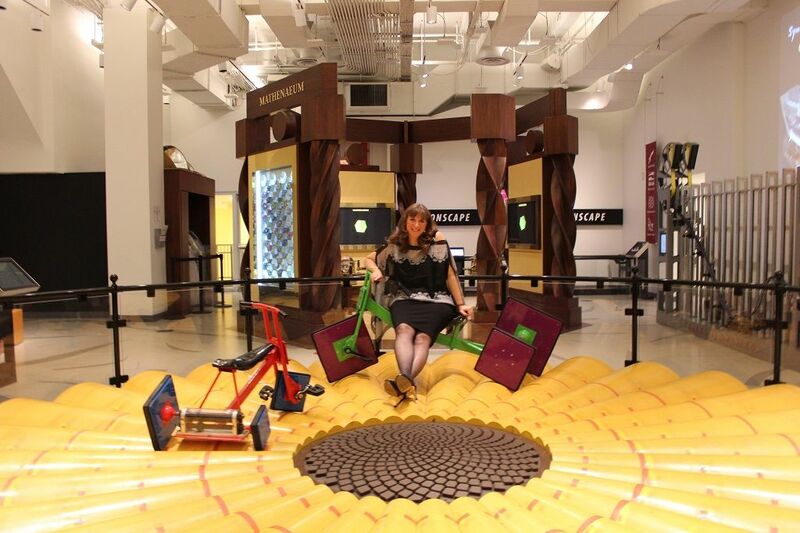 The museum, which can be found on 11 East 26th Street and is open seven days a week, also explained: “MoMath has more than three dozen unique, state-of-the-art, interactive exhibits that make math fun and accessible for everyone. Its dynamic exhibits and engaging programs are designed to stimulate inquiry, spark curiosity, and reveal the wonders of mathematics. 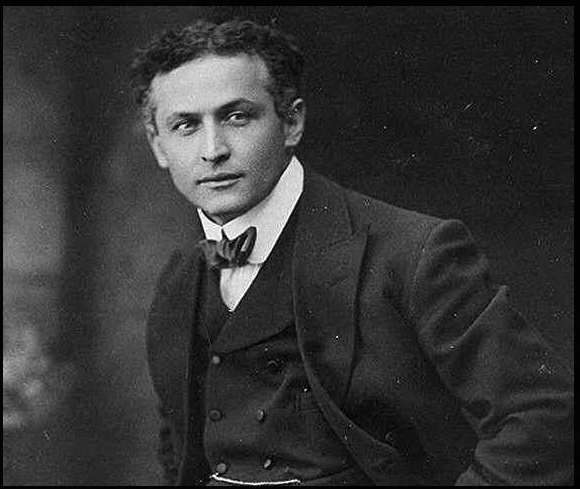 Harry Houdini is a name known around the world, a master escape artist that thrilled and amazed throughout his magical career before his death in 1926. Houdini Museum of New York is a great testament to his life and work, looking to inspire individuals of all ages to achieve their goals. The museum presents hundreds of rare pieces that were used by and belonged to Houdini, including such items as rare publicity posters, escape restraints, magic props, and items from his movies. The museum’s archives are so large that there are many pieces that have never even been on display to the public – It’s without question an NYC attraction to mark down. Houdini Museum of New York is situated at Fantasma Magic and has free admission seven days a week. For a truly unique and unusual attraction to visit during your time in New York, Obscura Antiques and Oddities in Manhattan’s East Village is a hidden gem that demands inclusion on your itinerary. Known as NYC’s oldest oddities emporium, Obscura greets visitors with a plethora of odd bits and bobs from the world of medical, scientific, and natural history. This charming store is full to the brim with bizarre gifts, containing the likes of prosthetic limbs, medical art prints, and Victorian mourning jewellery. Quite unlike any shop you will have ever visited before, Obscura Antiques and Oddities will surprise and intrigue all that enter. If you’re looking for a truly unique gift to bring back home, this is the place to get it. The Explorers Club was founded in 1904 by leading polar explorers and has fostered scientific exploration ever since. Located in a Jacobean revival mansion which operates as the club’s international headquarters, the building is a gold mine of exploration related treasures and polar artefacts. From a sled used in the 1909 North Pole expedition to a truly impressive collection of books, maps and films that number in the thousands. The Explorers Club HQ has become a valuable tool for researchers, enthusiasts, and journalists, and it’s not hard to see why. If you fancy taking a look yourself, make sure to visit their website for a full schedule of events open to the public. New York is also home to many impressive outdoor attractions that are perfect for visiting during your time in the city. One location you might not have heard of is Brooklyn Botanic Garden, an urban oasis that achieves great success in connecting people with the natural world. 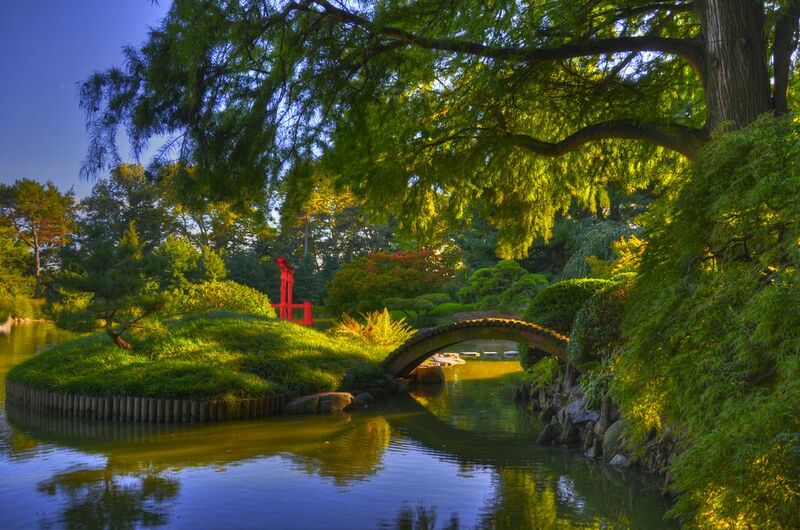 Founded in 1910, Brooklyn Botanic Garden today represents urban gardening and horticultural display at its finest. Plant lovers and gardeners will be fascinated by the delights living in its immaculately cultivated environments, with plants such as the starfish-lily, Chinese witch hazel, and Higan cherry bonsai all present. And with a garden shop of plants and gifts, along with the Yellow Magnolia Café, a trip to this New York treasure easily becomes a perfect day out. NYC is replete with terrific dining experiences but none perhaps are quite as unique as Trinity Place Bar & Restaurant. A truly impressive environment for great food and drink, this bar and restaurant is located in an old bank vault beneath a Manhattan skyscraper – talk about a hidden gem! With its impressive vault door still in position, Trinity Place operates as a premier fine dining destination in the heat of the financial district. With a menu that serves both lunch and dinner, guests can look forward to sumptuous dishes like filet mignon and pan-roasted day boat scallops. There’s even a bar menu to indulge in, offering up mouth-watering delights such as mini Kobe cheeseburgers and pulled pork sliders. If this all takes your fancy, make sure you reserve a table for a meal to remember. Hidden gems and tucked away establishments are quite common in New York but if Tannen’s Magic Store isn’t on your to-do list you are doing yourself a big disservice. Tannen’s, New York’s oldest magic shop, has been providing tricks and secrets to magicians since 1925 and has been patronised by any magician worth his salt during its time. Found in Midtown, Tannen’s Magic Store has untold magical items for sale and will surely delight families young and old during their visit. Invisible paint, rabbit producing hats, magic canes, and multiplying billiard balls are all available at Tannen’s. And if you didn’t manage to pick up all that you desired during your trip, the shop even has an online store to fulfil your needs. 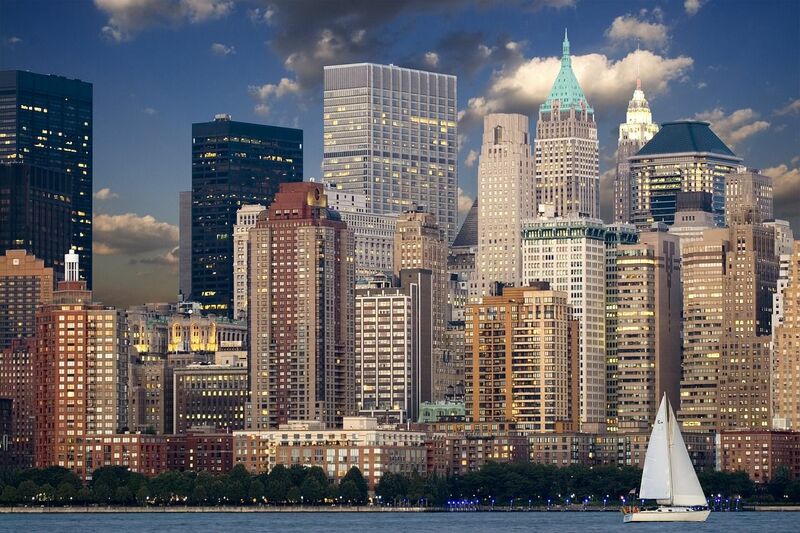 If you’ve been inspired by the above hidden gems and best kept secrets, and want to head to the Big Apple to discover what’s on offer for yourself, make sure to take a look at our page of cruises to New York.